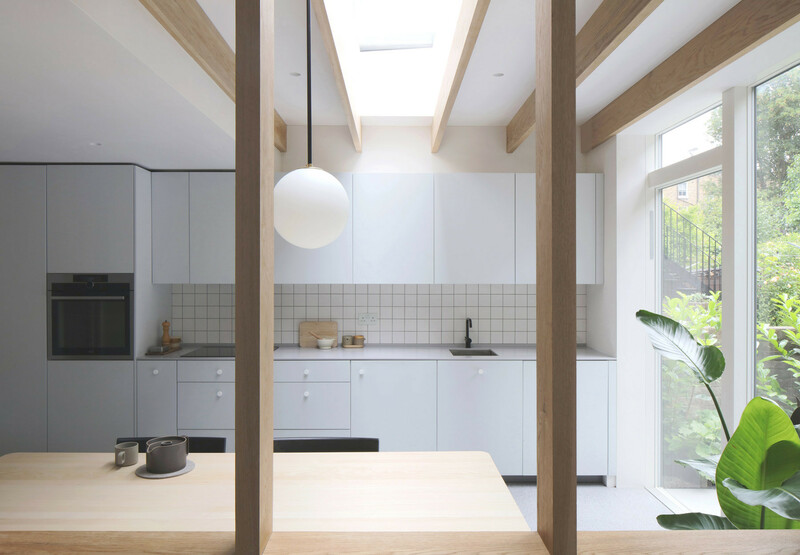 The new kitchen, dining and study spaces are informally defined by exposed oak posts and beams, allowing natural light to penetrate deep into the lower ground floor plan. 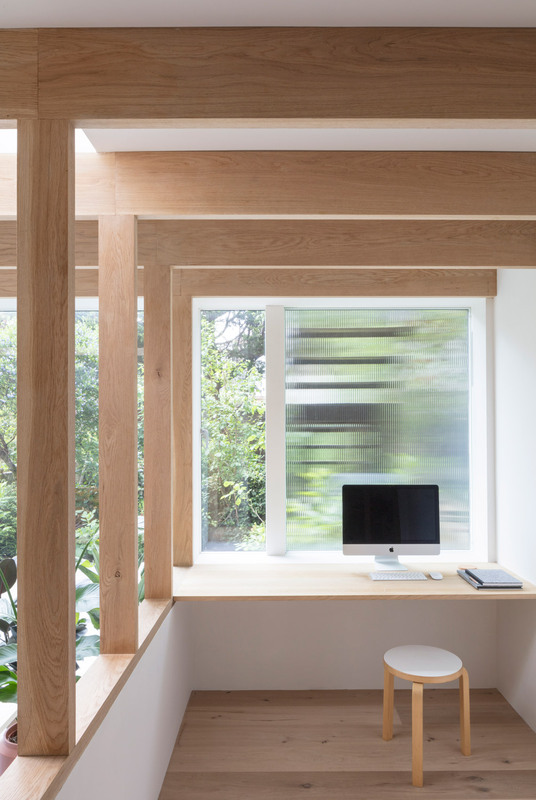 Framed views are created between the spaces and direct the eye towards the lush green backdrop outside. 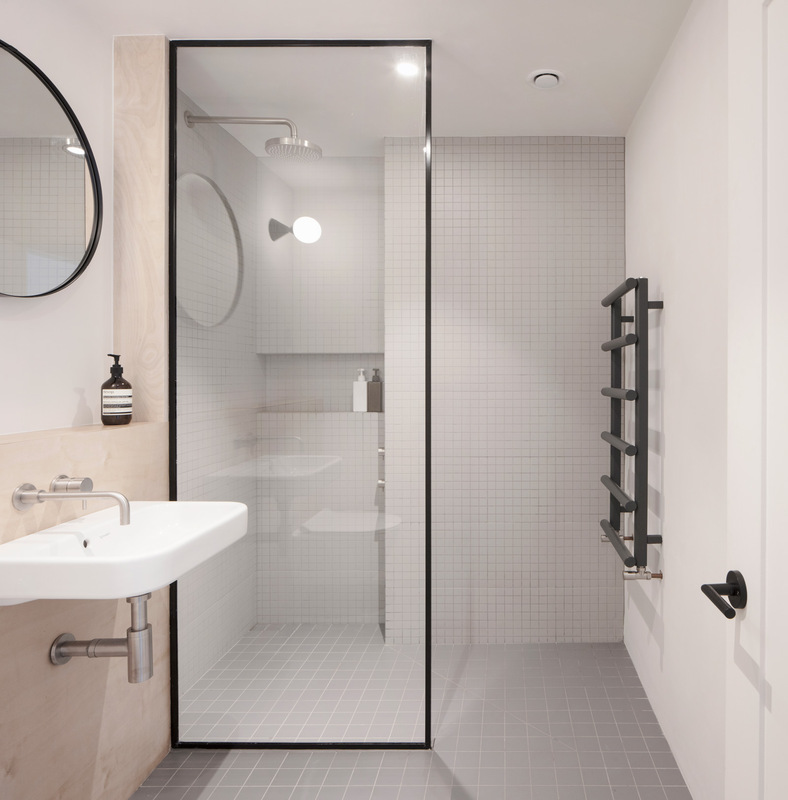 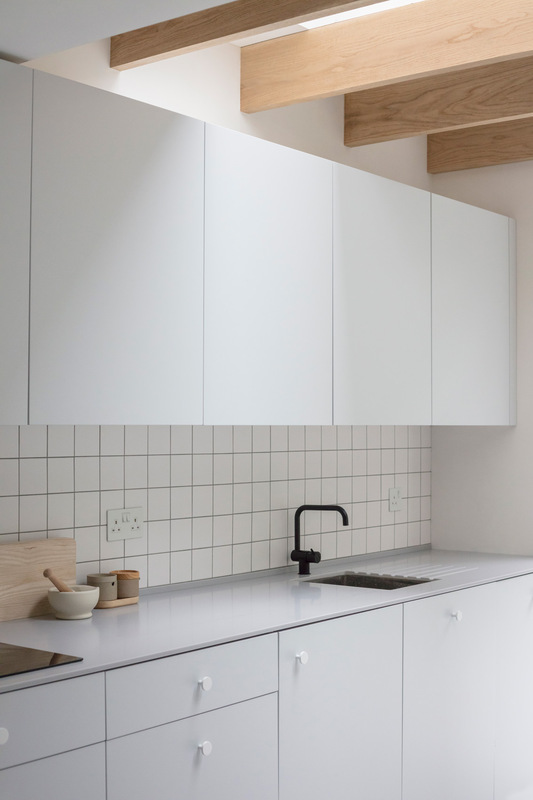 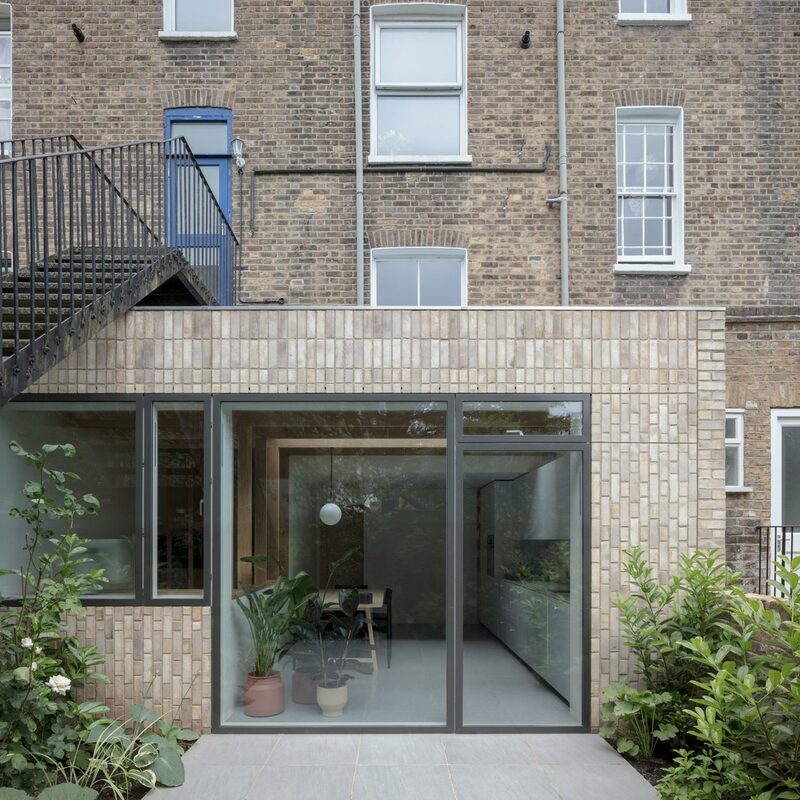 The orthogonal grid continues throughout the property with bricks in a variety of bonds externally, and square tiles with contrasting colour grout lines to the kitchen and bathroom. 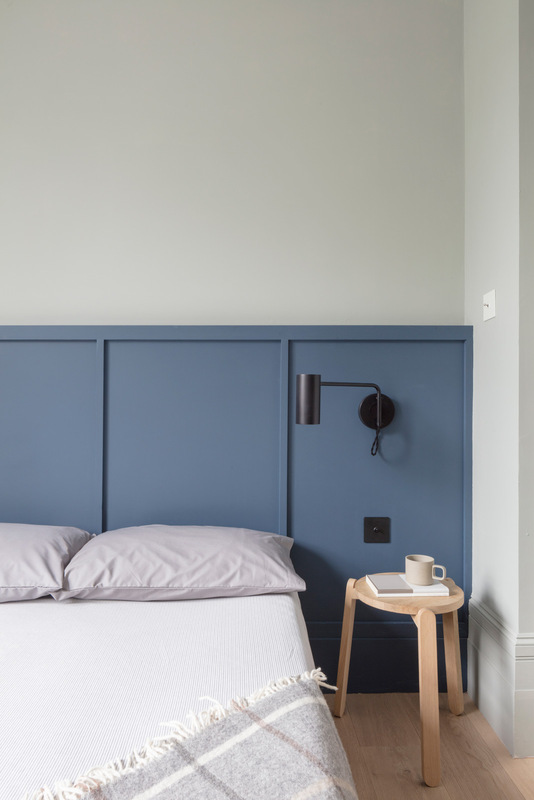 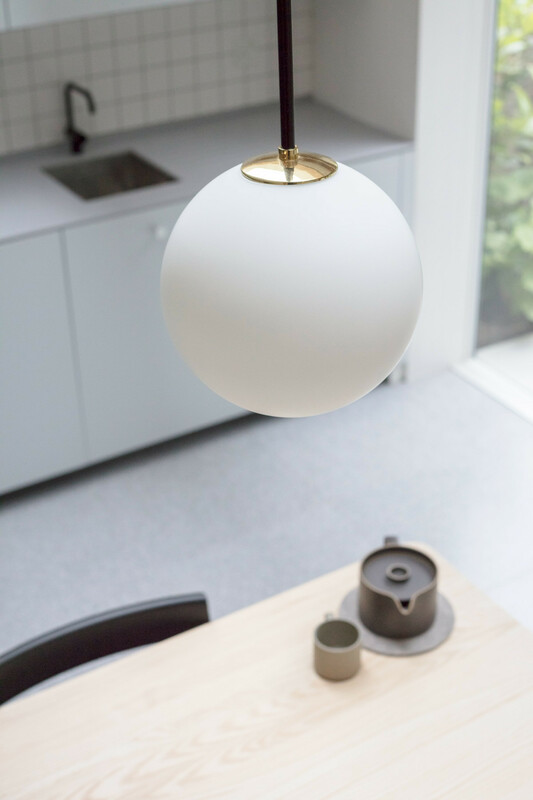 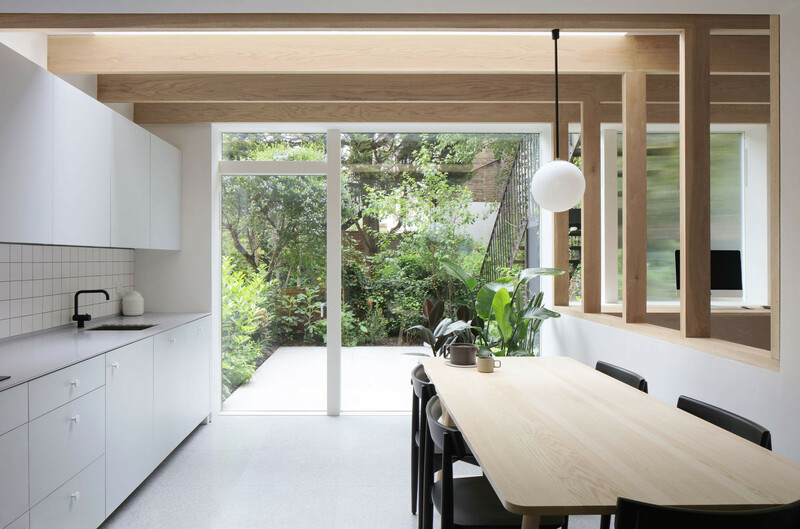 This contemporary, geometric approach is contrasted with refurbished traditional Victorian details on the upper floor. 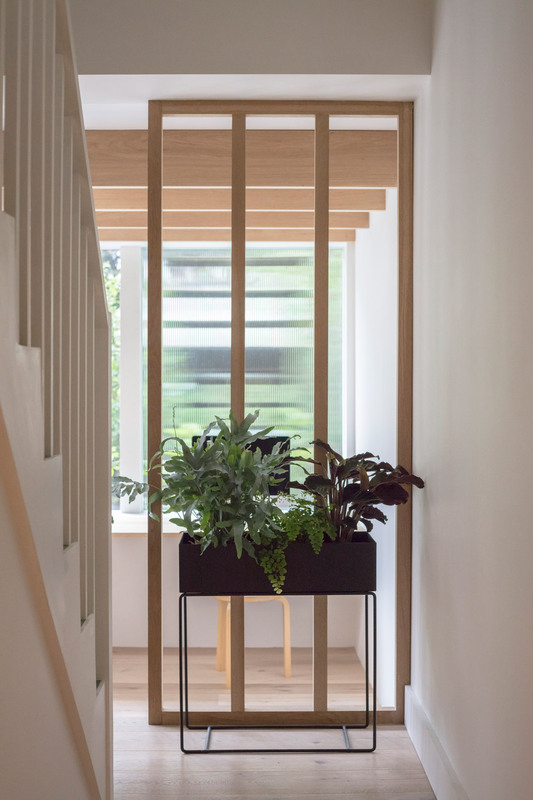 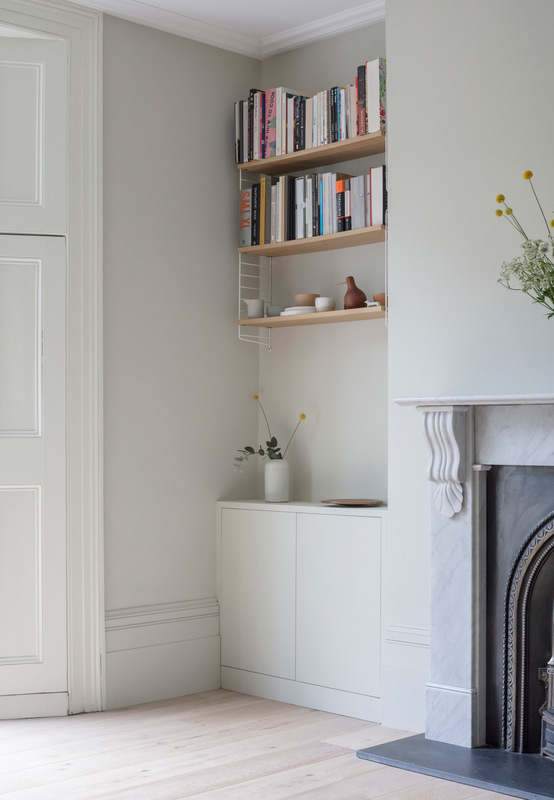 The depth of the rear extension was defined by an existing upstairs neighbour’s stair, which had to be retained to allow access to their garden. 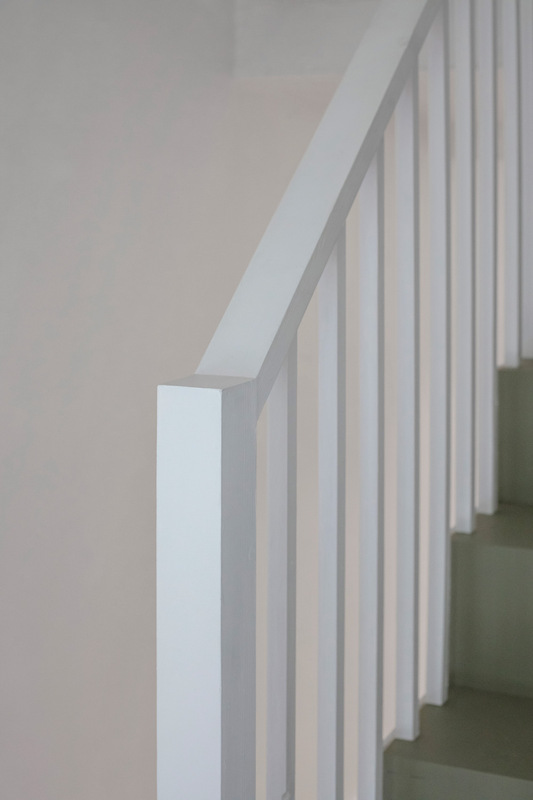 Fluted glass reduces the impact of this stair when viewed from the new study.